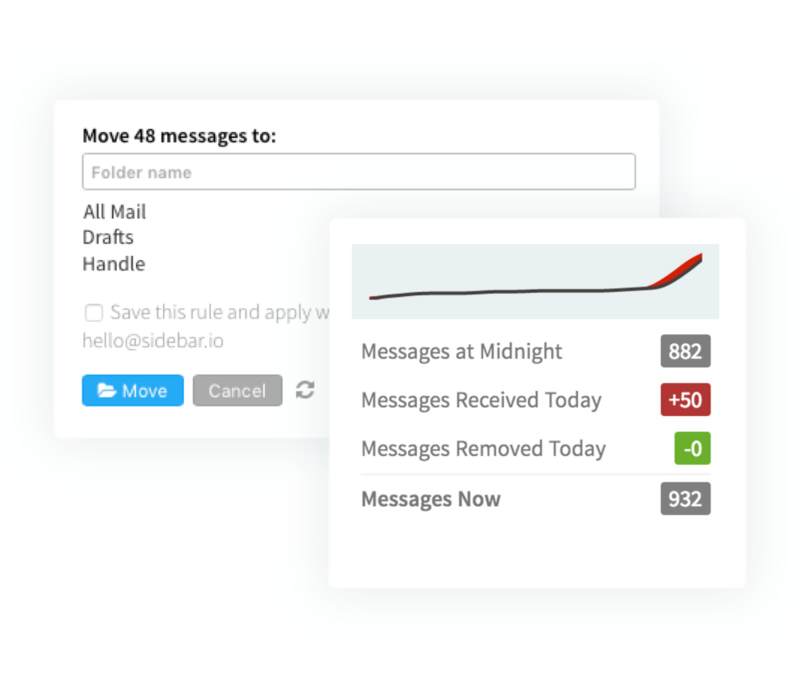 POWER THROUGH THOUSANDS OF MESSAGES IN JUST A FEW CLICKS Clean Up Your Inbox Now. "One evening, I gleefully eliminated around 500 e-mails from Yelp, Twitter, Instagram and Kickstarter in a series of satisfying clicks." "I used Mailstrom to get rid of around 22,000 emails in about half an hour. The feeling of satisfaction was huge." Unlike "artificial intelligence" algorithms that try to guess what you think is important, Mailstrom is a power tool that amplifies your human intelligence. Mailstrom identifies bundles of related mail and makes it easy for you to act on them as a group. Slice through tens, hundreds, or thousands of emails at once. Everyone has their own way of managing their inbox. There are lots of styles, tips, hacks, and suggested best practices. Whatever works for you is what we're after. Mailstrom is designed to give you the leverage of a powerful yet simple set of tools, so you can take control of your inbox your way. Hacking your way to Inbox Zero feels really, really good! 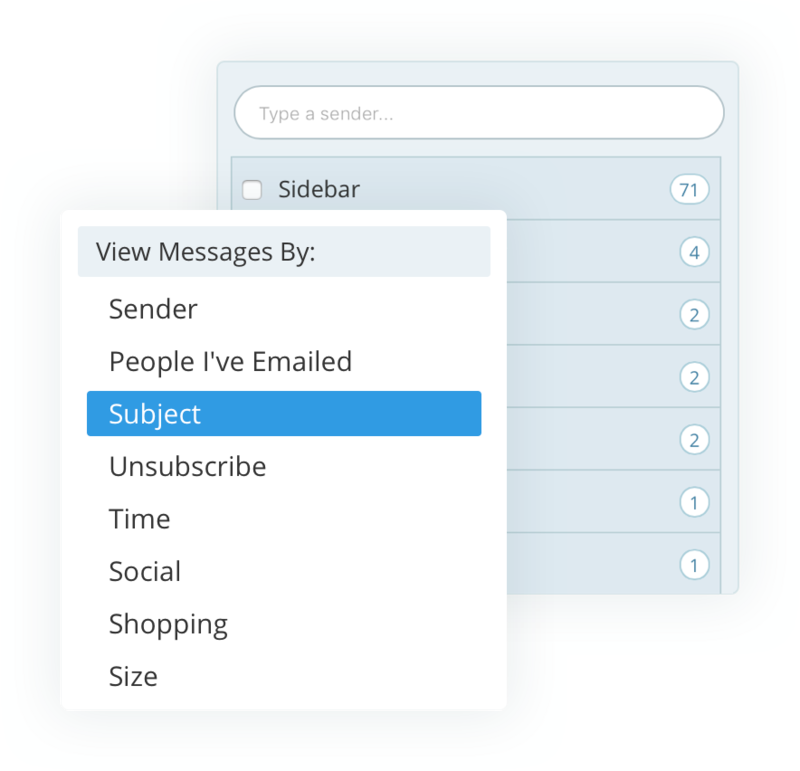 Extra level of SPAM protection Use Mailstrom's one-click Block function to stop any unwanted senders or subjects from cluttering up your inbox in the future. Unsubscribe faster and easier Unsubscribe from mailing lists quickly and easily with Mailstrom's Unsubscribe feature. Get off old or unwanted mailing lists with one click. Protect your privacy We use industry-leading encryption. With Gmail, Outlook, and Yahoo we use IMAP via OAuth2, so we never have your password.